Follow Route 119 (North/South) until you reach the Mt. Pleasant/Ruffsdale Exit (Route 31). At the top of the ramp take Route 31 East to Pittsburgh National Bank, which will be on your left. At the traffic light make a left turn onto North Church Street. Follow North Church Street approximately ½ mile. The office building is located across from the Crivelli Chevrolet Car Dealership. 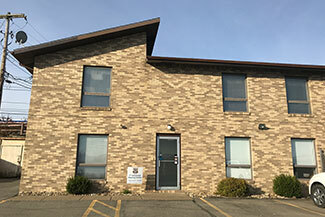 The Advanced Hearing Center office is located on the lower level of this building.